Adventures of Gleeson and Cormac: Why Are People Bullied? 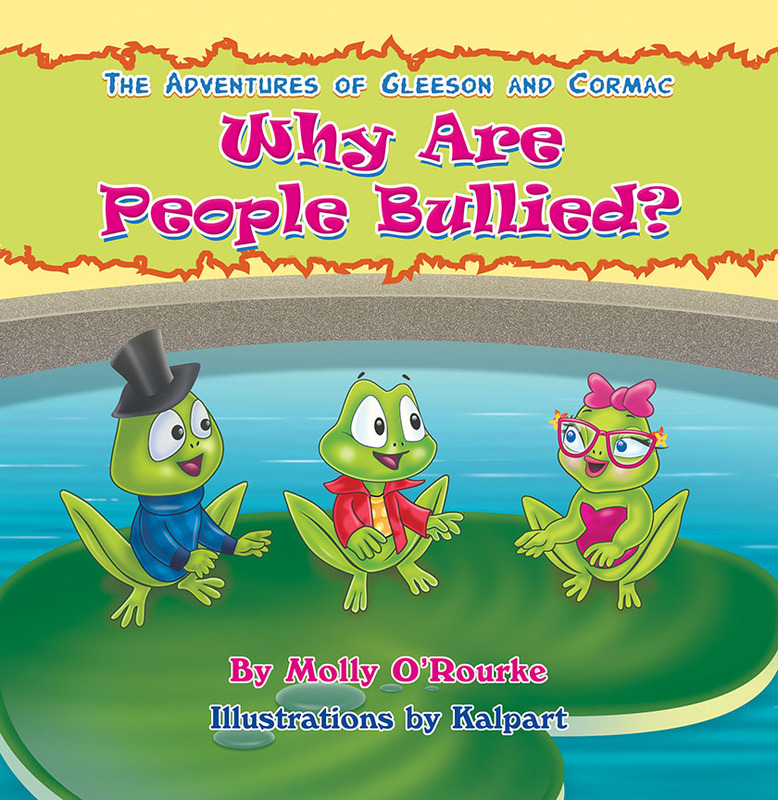 Gleeson and Cormac are two curious frogs that are joined in their continuing adventures by their friend, Rachel. 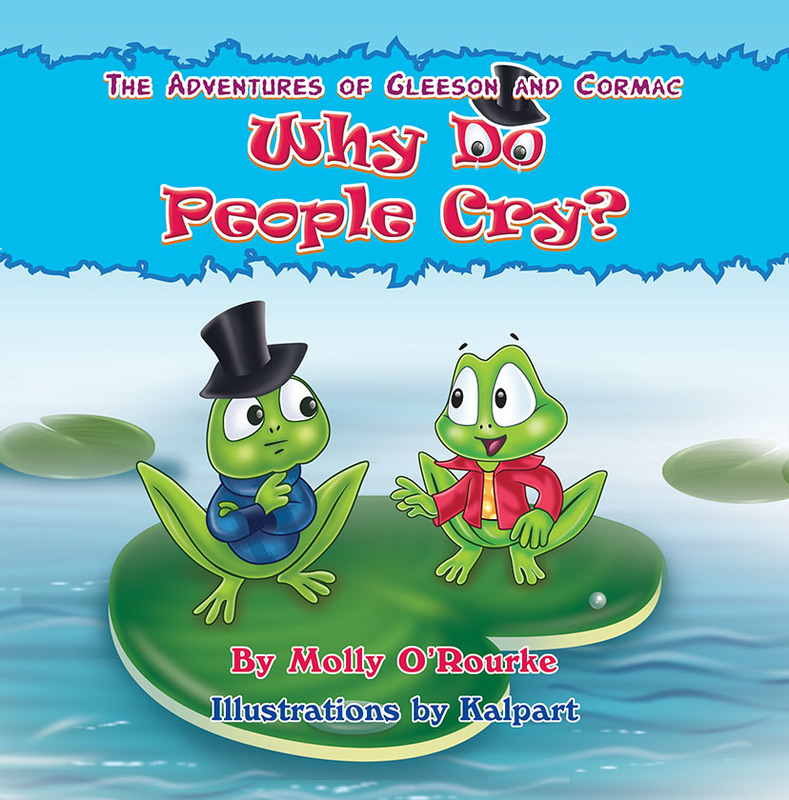 The first story in the series was The Adventures of Gleeson and Cormac: Why Do People Cry? This book Why Are People Bullied? has the two frogs and their friend, Rachel, watch a class that is studying bullying and hearing stories told by students. Gleeson, Cormac, and Rachel use their iPhones to read the difference between teasing and bullying. They also remember what they learned about crying during their last adventure. After a break, the class discusses what they could do to help someone who has been bullied. After the class ends, Rachel shares her own story with her two friends about being bullied and how her friends helped her feel better. As they head toward Main Pond, they see an older girl bullying a younger girl. What should they do? What would you do?